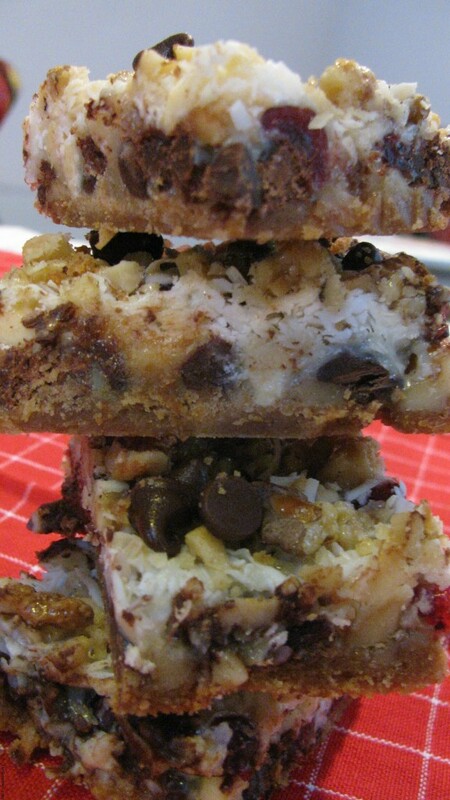 Called Hello Dollies, this multi layered cookie bar is a winner. Layer as many as eight ingredients and you’ve made stack after stack of sweet goodness. 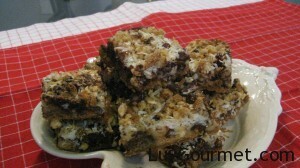 This cookie bar is a fun and easy confection to make and will stay in your go- to recipes for a lifetime….as it has mine. Just layer or sprinkle one layer after the other…..easy-easy-easy. 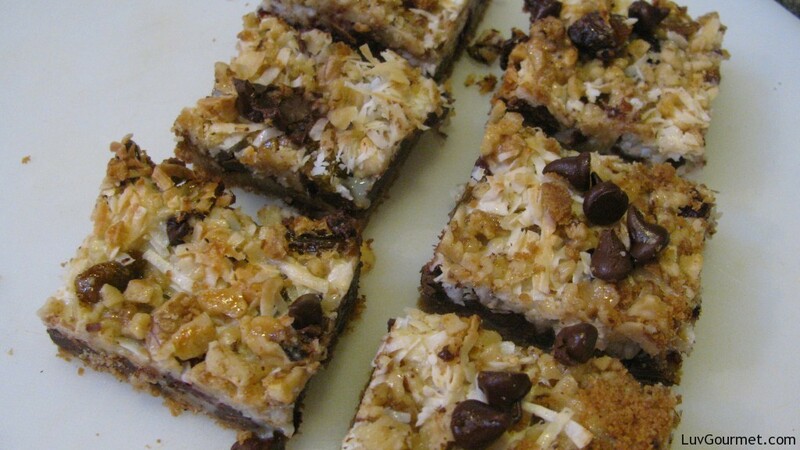 Using a casserole dish, the first layer is melted butter, the second is graham cracker crumbs and then let your imagination take over: Think raisins or dried cherries, chocolate and/or white chocolate chips, coconut, butterscotch chips, pecans or almonds or walnuts or maybe all three. Any or all of these combos make a great sweet. Whether you call them Hello Dollies, Hello Honey’s or even Hello Sweeties, I bet everybody luvs them. Using a 9 X 13 casserole dish, melt the butter and evenly pour over the bottom of the dish. Layer each ingredient separately. It is important not to mix the layers. Drizzle the condensed milk over all the ingredients. Bake at 350 degrees for 30 minutes until golden. After cooling remove the confection to the refrigerator for ingredients to harden. Cut into squares after cooling completely.